Ain't No Party Like An 80's Party! Jump in your time machine and join us for “The Big 80’s Party” at the picturesque Mount Penang Parklands, Saturday 13th October. It will be a day of fine wine, 80's cocktails, local food and 80's Music! 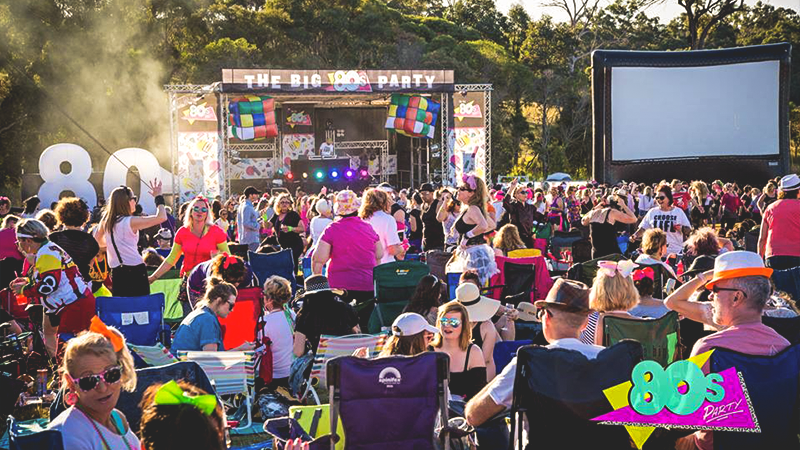 Arguably Australia's BEST 80's DJ's will pump out the retro beats on the main stage from 2pm, with added immersive 80's entertainment, guaranteed to keep a smile on your dial. 80’s costume attire is highly recommended to get you in the mood to party and join the best-dressed competition! 2:00 pm: Gates Open, be on time for the BEST seats in the house!